Make your own recycled paper pots. A great gift for any gardener. 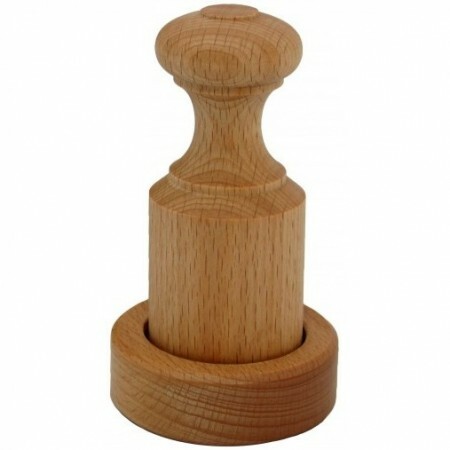 The Paper Pot Maker is due back in stock late February 2019. Please be sure to enter your email address below to receive a notification once they are available to order. Make your own recycled paper pots. 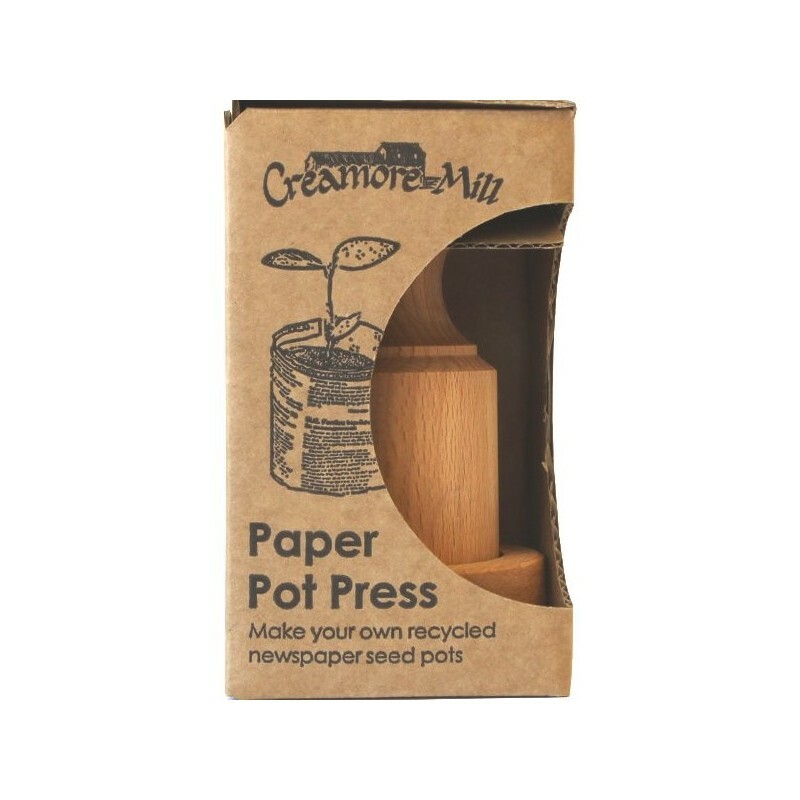 Use the press form and crimp strips of newspaper into plant pots. Growing your own plants from seed is now even more cost effective and environmentally friendly. A great way to keep your gardening free from un-sightly plastic trays and pots. Seedlings can be left in the pots when planting out to avoid disturbing the roots, and the newspaper rots down in moist soil. 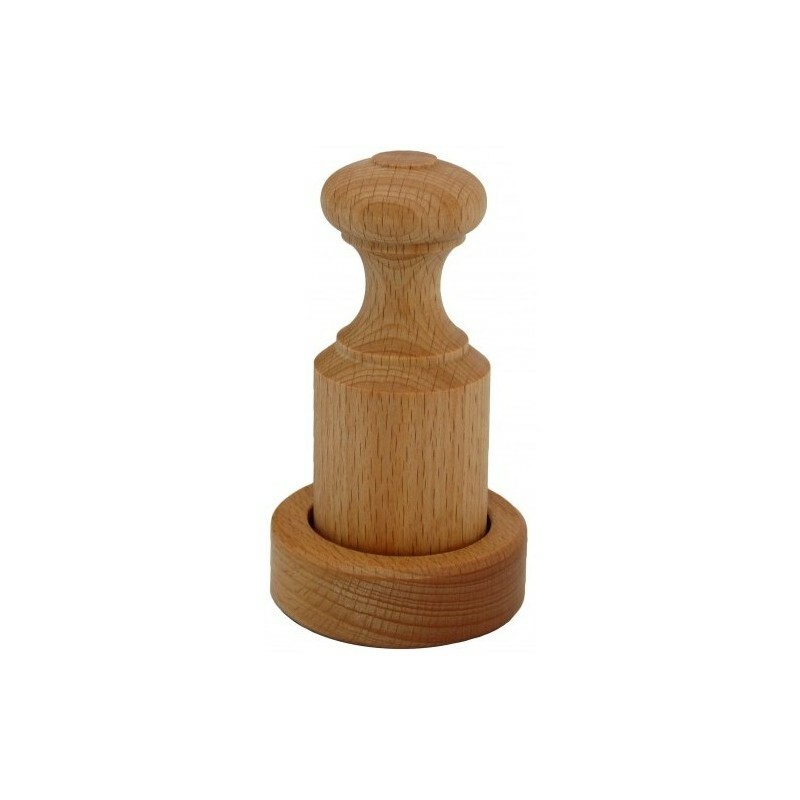 Made from certified sustainable beech. The storage tube supplied is also handy to keep any left-over newspaper strips for next time. UK company. Made in England. Browse our other eco gardening products. I bought this as a gift, it's perfect for gardeners or those just starting out! 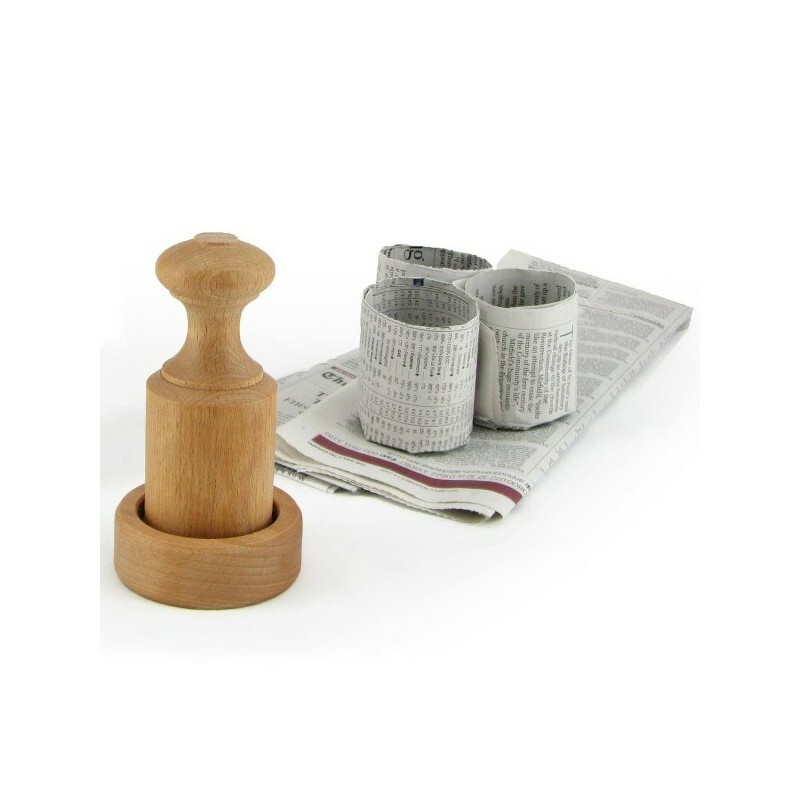 I've been having so much fun making newspaper pots with this gadget. Many of my seedlings are now in the garden bed and thriving as the pots break down. The paper pots are especially great for coriander and rocket. I'll be giving this to friends who love gardening and will also get one for my school, so the children can make their own sustainable seedling pots. Not great imo for going straight into the ground the paper is a bit too thick for a small plant to break through, but the kids love making the pots and once they've been on the window sill and after a few waters, the paper is broken down enough by the time the seed erupts to be perfect.